A FEW RULES - YEP I KNOW BORING BUT WE GOT TO HAVE SOME. 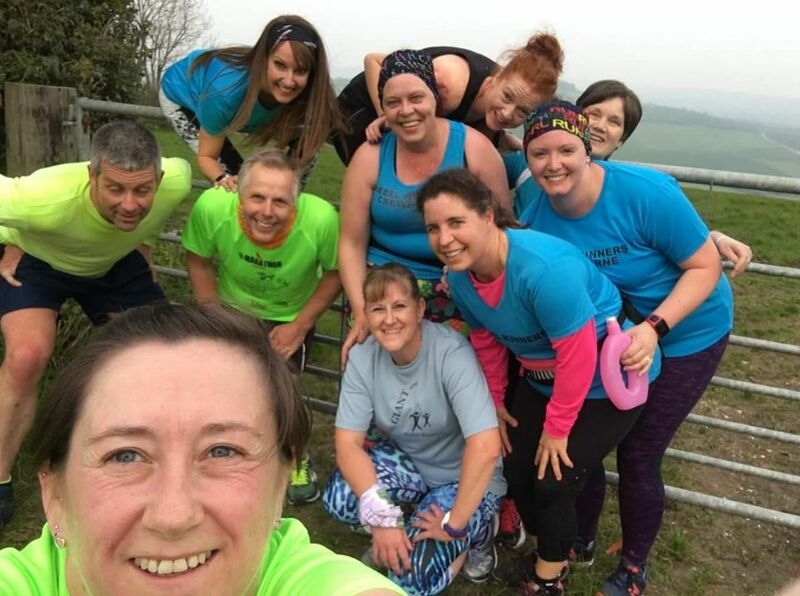 Club runs - we want all runs to be social and enjoyable for all, they are not a competition or race, they are an opportunity for people to run and gain experience from others and to pass on experience and encouragement to fellow members. Membership is £10 and is renewable on a yearly basis running from January to December. Non members running with the club - after 4 weeks of running with the club you will be asked to join the club. The Club does not accept second claim applications from members of any local club. When running on a club run or event and/or wearing club vest or representing the club please respect the rules of the club. Be sensible in how you run, don’t put others in danger, smile and greet other runners with a cheery hi or wave. Club colours are Sapphire Blue. Runners are responsible for their own health and safety at all times. iPods & MP3 Players are strictly banned during club running sessions to ensure the safety of runners, their awareness of traffic and cyclists. Sorry no dogs - we would hate for anything to happen to your pet out on the roads and for the safety of livestock when on cross country runs. Rules of the road: always run on the right towards oncoming traffic unless it is unsafe i.e. on a bend, listen to the run leader in respect of safest place to run. On dark nights ALL runners MUST wear some form of light and make themselves visible to other road users. Obey the rules of the road including the Highway Code. Act for our own safety and well-being and respect other runners and road users. On narrow roads consider going into single file to let traffic past safely. Slow down or walk or stop for horses and give them plenty of room. No-one gets left behind - to achieve this, the practice of looping or waiting for slower runners must be always adhered to. In addition to looping the group leader may require fitter runners to WAIT for the less able, particularly at the top of taxing hills. All runners must be aware of the route prior to the commencement of the run. Ensure you know the route in case of separation. This will be explained before a run, so it is your responsibility to know the directions. If you are struggling to keep up with the pace and feel you are out of your depth, please speak to the run leader. The run leader will typically run from the back of the group, supporting the slowest member. This will dictate the pace of the overall group. If you are not happy with the pace of the group, you are welcome to speak with the run leader and then run off the front, but in doing so you accept that you are no longer the responsibility of the Club or the run leader. If you do this and you lose your way and/or anything else happens to you, the Club and/or run leader will not be accountable. Should a particular group in the run split, unless agreed, runners should slow down or regroup at key points on the route. No runner should leave the group without first notifying other runners in order that they are not posted missing (this information should be relayed to a run leader). Respect and accept what you are asked to do by the run leader. You will be expected to understand and act in a manner that is in line with our Run Discipline & Etiquette and that represents the club in good light. Behave in a manner which represents the Club in a good light. Dealing with Accidents & Injuries: The Club does not provide first aid cover or medical support for runners on Club runs. All runners run at their own risk. The group has an obligation to stop and assist any of its runners suffering from any problem. Individual runners must not be left on their own and a special awareness should be given to new or inexperienced runners. Dispute Resolution - Anyone who has issues with the club or any club members must email the club Chairman on the club email address with their complaint or issue, under no circumstances are these issues or complaints to be posted on the Facebook group. Anybody doing this will be immediately removed from the group page and from the club. Any abuse or harassment of members or officials of the club in any form will also result in the person being removed from the group and club. Anyone disrespecting or abusing the club or any members or bringing the club name into disrepute will be asked to leave the club or will not have their membership renewed. The Club reserves the right to refuse membership or renewal of membership. Any member leaving the club will not use the Rebel name if any form be it Rebel Runners, Rebels Crewkerne, Rebels Chard, etc. Anyone leaving the club and continuing to use the club name or ARC number for race entries will be reported to the race director.